What is a Sweed Chopper CE300 used for? Our Entry level banding chopper is suitable for plastic and steel strapping, the feed rate is 0.5m/sec producing a 75mm long piece of chopped strapping to enable efficient and cost effective recycling by reducing volumes up to 20:1! The CE300 Banding Chopper is suitable for Timber Suppliers, Breweries, Drink Producers, Distribution Centres, Builders Merchants, etc… For larger waste applications see our CE450DDX. The CE300 Banding Chopper is safe and easy to use, it is fitted with a standard 13A 3-pin plug and has an ‘on’ and ‘off’ button. 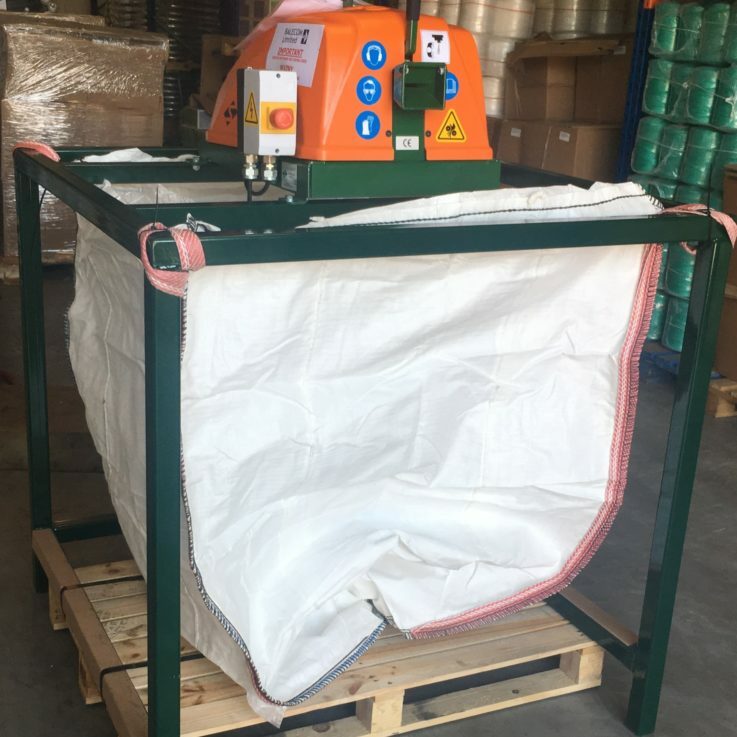 The chopped strapping can be collected using an optional Balecom support frame with a Bulk Bag, including a double traversing frame if you are handling two types of strapping. Our CE300 Banding Choppers are available to purchase or hire.